President Emmerson Mnangagwa promised on Tuesday to investigate a brutal crackdown by security forces on anti-government protesters, as two of his supporters spoke of a possible plot to remove him from office. Lawyers and activists say police and soldiers have killed at least a dozen people, wounded scores and arrested hundreds since demonstrations began nine days ago following a hike in the price of fuel. Zimbabwe's Human Rights Commission (ZHRC) accused security forces of systematic torture. In his first public comments since cutting short a foreign trip, Mnangagwa said violence by security forces was "unacceptable and a betrayal of the new Zimbabwe." "Misconduct will be investigated. If required, heads will roll," Mnangagwa wrote on Twitter on Tuesday, calling for a "national dialogue" involving churches, civil society and the opposition. A lawyers group reported more rights violations since Mgangagwa's return to Harare late on Monday, fuelling rumours of deep divisions within his government. Two allies of Mnangagwa – a lawmaker of his Zanu-PF party, Mayor Wadyajena, and former deputy finance minister Terence Mukupe, said some members of the government were attempting to impeach him. "They threatened to kill me and harm my family. I stand by @edmnangagwa… The plot is foiled, they lack numbers for impeachment," Wadyajena posted. A spokesman for Mnangagwa had said on Sunday the crackdown was a foretaste of how authorities would respond to future unrest. In the clearest sign yet that Zimbabwe is sliding back into the authoritarian rule that characterised the regime of former leader Robert Mugabe, the ZHRC said on Tuesday that security forces instigated systematic torture of residents after last week's unrest – during which police say three people died – turned violent. The level of force used on those who died or were injured, and supported by medical reports, pointed to police brutality, a ZHRC commissioner told reporters. Before winning a contested election in July, Mnangagwa promised a clean break with the 37-year rule of Mugabe, who used the security forces to quell civilian protests before being forced out in a coup in November 2017. The latest unrest drove Mnangagwa – at one time a close Mugabe aide – to cancel an appearance at the World Economic Forum in Davos, where he had been expected to pitch for foreign investments, and fly home. He said on Tuesday that the 150 percent hike in the price of fuel that triggered the demonstrations had been necessary. South African President Cyril Ramaphosa, speaking in Geneva en route to Davos, said his government was in discussions with Harare about how best to help. He called for sanctions against Zimbabwe to be lifted to help ease shortages of food and fuel, "because they have embarked on a path of democracy and on a path of real recovery." U.S. sanctions imposed in 2002 prevent Washington officials in international financial institutions including the IMF from voting for loans to Zimbabwe. With high inflation and a shortage of cash in circulation eating into ordinary Zimbabweans' spending power, the fragile state of the economy is at the heart of the country's political troubles. Several opposition politicians and rights activists remain in hiding as authorities try to track them down, lawyers and residents say. They accuse security forces of raiding homes at night and beating up suspected protesters, charges police and the army deny. Zimbabwe Lawyers for Human Rights said police arrested 28 men late on Monday who were receiving treatment at a safe house after beatings. Police could not immediately comment on those arrests. A 14-day strike notice given by public sector unions expires on Tuesday. Apex Council, which represents all civil service unions, will meet on Tuesday or Wednesday to plan its next move, its deputy chairman Thomas Muzondo said. Nelson Chamisa, leader of the Movement for Democratic Change, said there was an urgent need for dialogue and that all those detained should be freed. "In order to dialogue, one's tongue must be free to talk. The tongues of the nation are tied in jails (and) many others by fear. This must end," Chamisa wrote on Twitter. 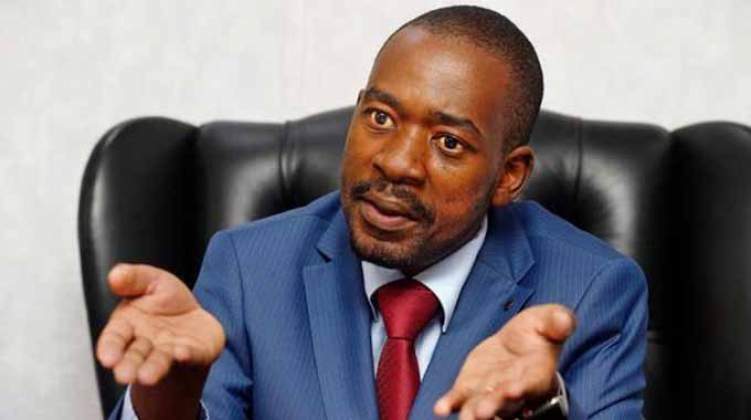 In comments that appeared aimed at Mnangagwa, who had earlier called for dialogue on Twitter, Chamisa told the Zanu-PF leader to "correct wrongs now", demanding: "We call for an immediate end to the crackdown and terror that has induced insecurity across the country. We call for the unconditional release of all prisoners of conscience and political detainees whose rights continue to be violated." Mnangagwa said he was "inviting leaders of all political parties as well as religious and civil leaders to set aside our differences and come together", adding: "What unites us is stronger than what could ever divide us. Let's begin a national dialogue. Let's put the economy first. Let's put the people first." He has previously made similar calls although no efforts have been made by his government towards that goal. Chamisa seized on this, stating that "it is not about lofty words or wordplay unsupported by conduct on the ground." "We've long offered a hand to resolve our national challenges. Regrettably this hand has been spurned and mocked. It is sad that some seem to have reluctantly come to this realisation following the loss of lives. It doesn't have to be that way, but such is the price of arrogance," the MDC leader added.